The BTC pipeline runs through areas of geopolitical sensitivity. 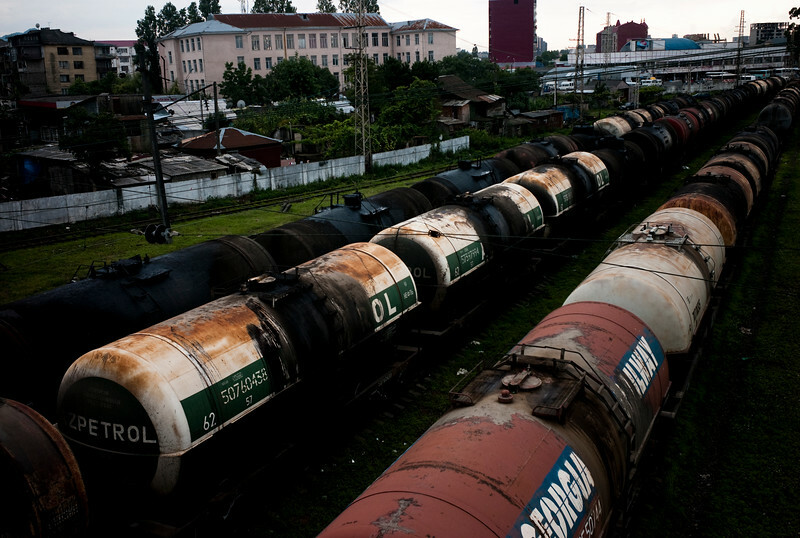 Oil tankers being transported from Caspian sea to Batumi by rail. Since 2006 the BTC has allowed Azerbaijan to export its oil to world markets through Georgia and Turkey, thus avoiding Russia. It has given Azerbaijan a greater sense of independence and a new role for Georgia in Europe's energy security to the annoyance of Russia. Some blame the BTC for Russia's continued covert involvement in regional latent conflicts especially the South Ossetian crisis which led to the Russia-Georgia war.